Today, I’m happy to bring you the cover for the next installment in L. Blankenship’s gritty fantasy series Disciple, which I had the good fortune of beta reading. To learn more about her work, check out my interview with her from last fall, and the guest post she did this spring on making deliberate writing choices. And if you’d like to learn more about her take on cover art, check out this post. Saint Qadeem is looking particularly badass, if I say so myself. Kate fought for her place as a healer in the war’s front lines. Serving her homeland has been her goal since her magical gifts earned her a coveted apprenticeship with the kingdom’s greatest healer. She believes she’s prepared. But nothing’s simple when defending a besieged capital city — or her heart. She loves the prince, who means to protect her even though his duties as a knight keep him on the battlements, fighting the enemy’s monstrous army. Kate’s husband is the one who checks on her, lingers over dinner, and slowly but surely charms her. She’s all too aware that her beloved prince threatened to kill him if he touches her. As the enemy thunders against the city walls, the kingdom needs more from Kate than just her healing magic. All disciples must put aside their tangled feelings and stand in the homeland’s defense. Kate believed she’s ready for a war. She isn’t. The official cover reveal and “Next Big Thing” post are over at Disciple of the Fount. 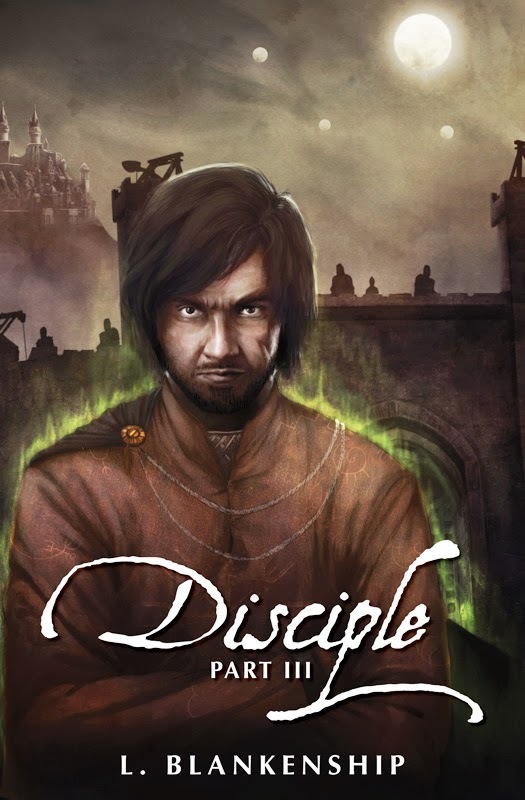 Disciple, Part III arrives September 1st, 2013!